But can they spell properly? Instructions in a telephone booth (pay phone). 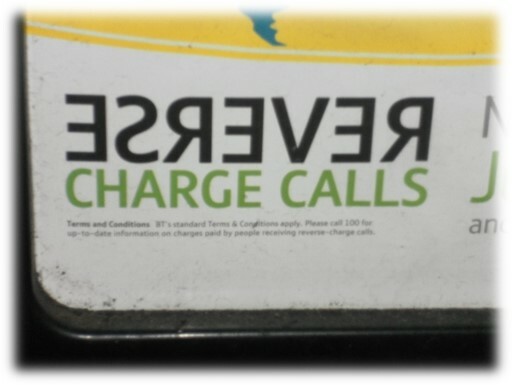 To reverse the charges is equivalent to America's to call collect. 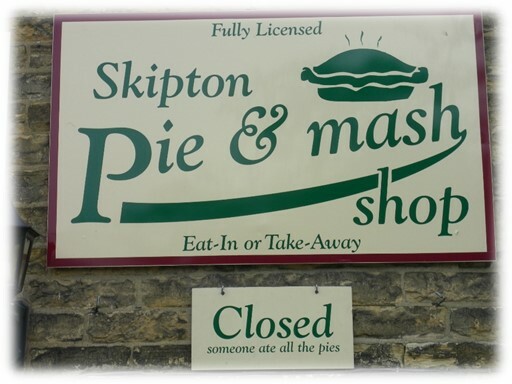 Sign outside a pie shop. 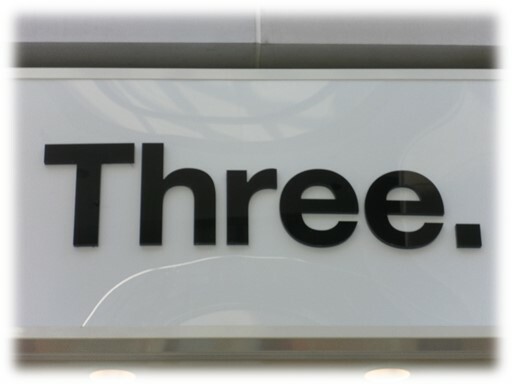 This uses the general style of London Underground (Tube) station name signs. Sign in a lane behind a business. 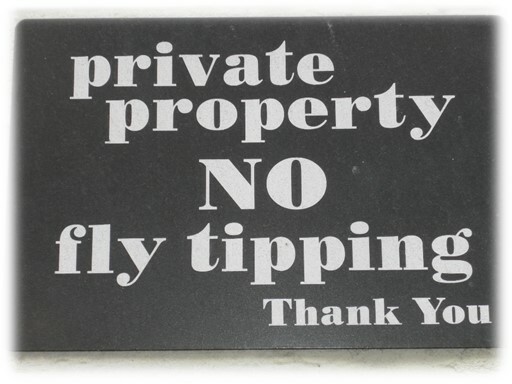 I've heard of cow tipping, but I couldn't figure out what this meant without researching it further. Apparently, it means no illegal dumping. This just seemed odd. Did they mean one should not be tresspassing, so as to use the basketball facility? I really couldn't figure it out. 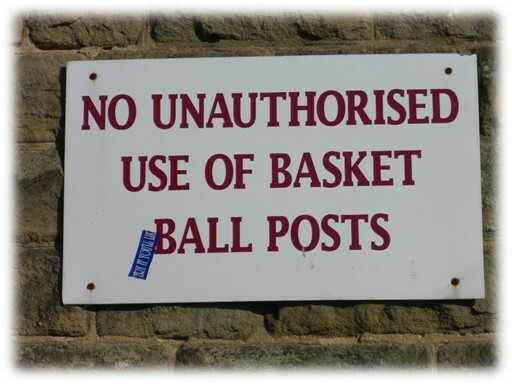 And just what are authorized uses of basketball posts? And when did basket ball become two words? 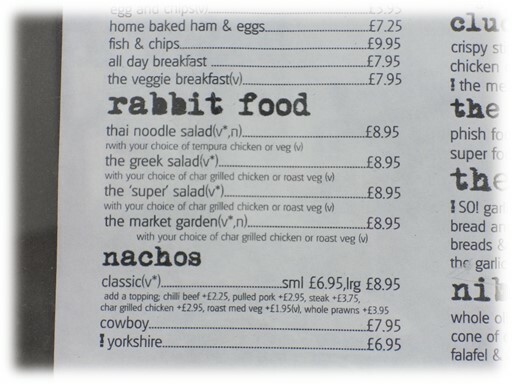 This was near and dear to my heart, as I've long used the term rabbit food to mean salad, and for exotic salads, I call them "California leaves and twigs". 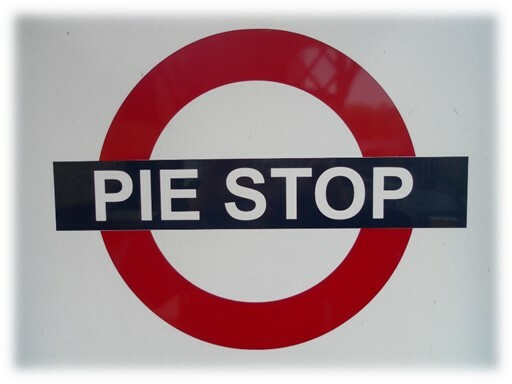 Don't you just hate that when someone eats all the pies? 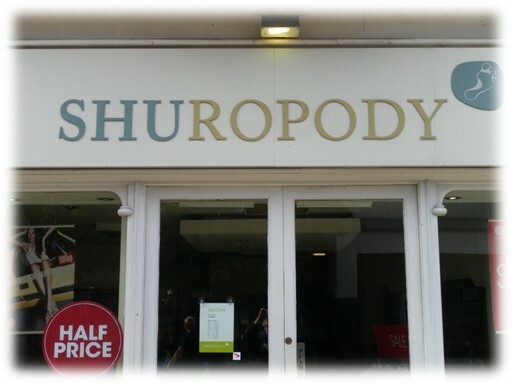 The play here is on the word chiropody. 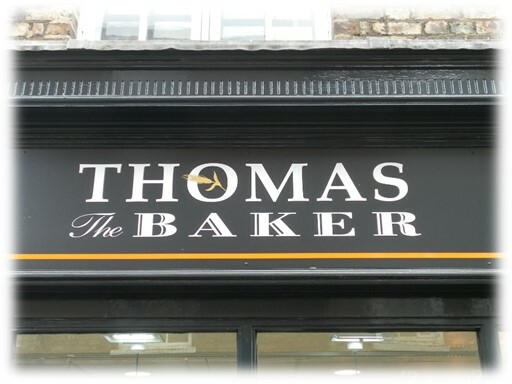 What a crazy name for a hairdresser's! A chain of bars that also serve food. Now while slugs very likely do eat lettuce, my guess is that the play here is the use of slug to mean a drink, as in, "He took a slug of whiskey." Rumor has it that he is a distant relative of Thomas the Tank Engine! 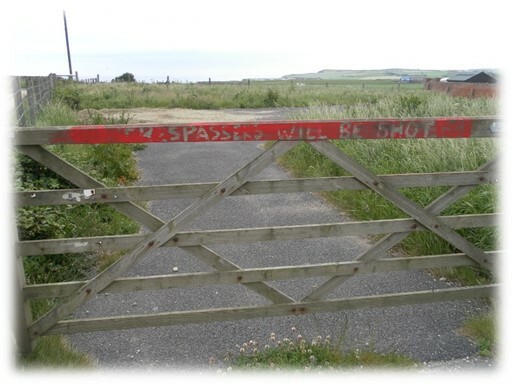 Sign on a private gate next to a public path. I must say that as I passed by, I did look around to see if I could see anyone with a gun. 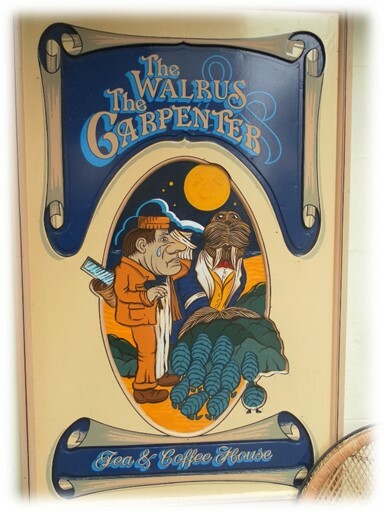 A tea and coffee shop just for fans of Lewis Carroll. 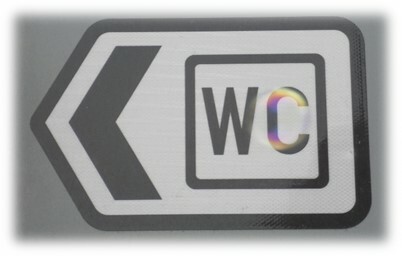 Direction to a public toilet. The internationally recognized term WC is an abbreviation for water closet, an early name for a flush toilet. BTW, according to Wikipedia, "Contrary to widespread misconceptions, [Thomas] Crapper did not invent the flush toilet." However, he did improve it. Collection boot for donations to the Royal National Mission to Deep Sea Fishermen. 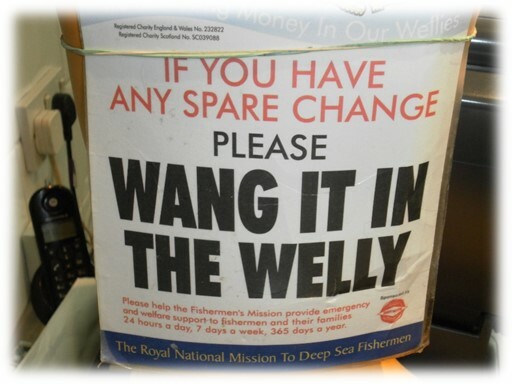 To wang is to throw, and a welly is a Wellington boot. 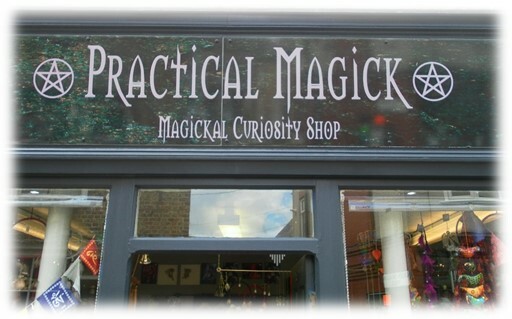 So what do you suppose this place sells? Apparently, mobile phones and such. That said I don't know about One. and Two.